With 84 confirmed dead so far in Mozambique, and 215 across the three affected countries, “everything indicates that we can have a record of more than 1,000 dead,” Mozambique President Filipe Nyusi said Monday. Nyusi’s estimate would make Idai the deadliest tropical cyclone ever to hit Africa. “Emergency officials cautioned that while they expect the death toll to rise significantly, they have no way of knowing if it will reach the president’s estimate,” The Associated Press reports. But numbers alone don’t tell the story. “The situation is terrible. 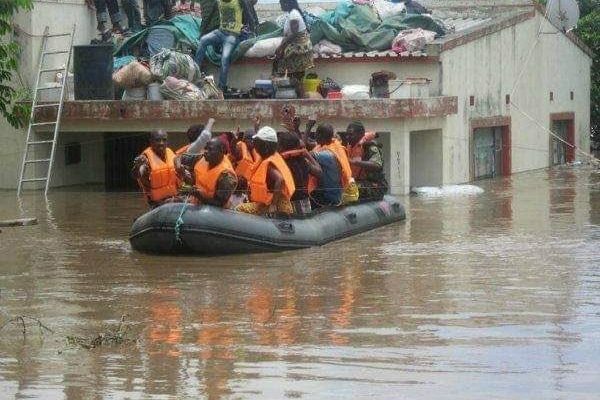 The scale of devastation is enormous,” said Jamie LeSueur, head of the International Federation of Red Cross and Red Crescent Societies (IFRC) team in Beira. “Communication lines have been completely cut and roads have been destroyed. Some affected communities are not accessible,” and the area surrounding Beira “is completely destroyed” after taking a direct hit from the cyclone. In Zimbabwe, the Chimanimani district has been cut off and rescuers are struggling to reach survivors, “many of whom have been sleeping in the mountains since Friday after their homes were flattened by rock falls and mudslides or washed away by torrential rains,” Al Jazeera reports. “Many families cannot bury the dead due to the floods.” The country is already facing a severe drought, with 5.3 million out of a total population of 15 million in need of food aid, according to the United Nations.Idai is a reminder that “the people who’ve done the least to change the climate suffer the most,” tweeted 350.org co-founder Bill McKibben.